Celaena Sardothien is Adarlan's most feared assassin. As part of the Assassin's Guild, her allegiance is to her master, Arobynn Hamel, yet Celaena listens to no one and trusts only her fellow killer-for-hire, Sam. Celaena embarks on five daring missions which take her from remote islands to hostile deserts, fighting to liberate slaves and avenge the tyrannous. But she is acting against Arobynn's orders and could suffer an unimaginable punishment for such treachery. Will Celaena ever be truly free? I am more in love with this series than ever!!! I have been emotionally destroyed; these novellas were the best (and saddest) things to happen to me this year. Celaena Sardothien is the most feared assassin in her kingdom, and the most ruthless member of the Assassin’s Guild. Working under the cunning and merciless Arobynn Hamel, Celaena is forced to travel the most unforgiving roads and face powerful enemies. Paired with her archenemy Sam Cortland, a fellow assassin and rising favourite, Celaena finds herself questioning her loyalties and all that she was raised to believe. But acting against Arobynn’s wishes could mean a life of punishment not just for herself, but Sam too, and any chance of freedom could be washed away forever. My heart has actually been torn open by this book, it is just too heartbreaking. I loved all of the novellas and was completely drawn in by Celaena’s history. I got to discover more about my favourite heroine and how kickass she is as a female character. She is such a good, honest person and she faced so much hardship in her life, it’s heartbreaking. These books made me love and respect Celaena more than I already did and I can’t be happier. As for Sam… Excuse me while I go find a corner to crying because I am a mess of emotions. Sam is too much of a sweetheart and I will never let him go!!! I can’t even talk about the pain that I feel about Sam. He could not have been any cuter and he did not deserve the life he was given. My price was his oath that he'd never lay a hand on you again. I told him I'd forgive him in exchange for that. 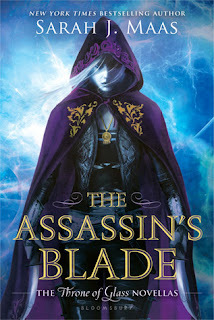 I read Assassin’s Blade after I finished Empire of Storms and I couldn’t imagine doing it any other way, it helped me understand everything about the novellas and love them more. 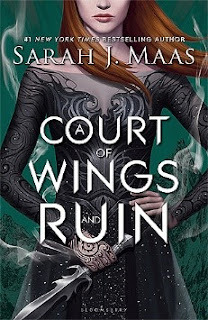 Reading this book isn’t essential for enjoying the Throne of Glass books but if you don’t read it you are making a big mistake. So, read Assassin’s Blade! My name is Celaena Sardothien," she whispered, "and I will not be afraid. Treat yourself and pick up this fantastic book from Amazon or Book Depository. Or, you can grab the entire series from Amazon here and Book Depository here.